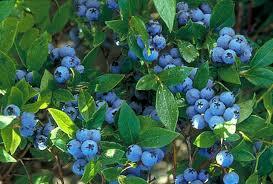 Blueberries are an important food source throughout the black bear range. The most commonly eaten berries in our area of northwestern Ontario are blueberries and raspberries. Many other berries are eaten, but they have shorter seasons, are scarce, or are less preferred. The period when blueberries are abundant in our area is short & mainly in August-making that period critically important in the black bear’s annual cycle of events. Efficient feeding during that time is critically important to winter survival, growth, and reproductive success. Researchers found that bears in NW Ontario end mating activities before the critical feeding period and focus on feeding for the remainder of the summer. Black bears are efficient berry-eaters, consuming up to 30,000 berries a day in a good year. They gather berries quickly, using their sensitive, mobile lips and swallowing them whole. The berries enter a two-part stomach, which grinds the pulp off the seeds. The seeds pass through the digestive tract unbroken and able to germinate, making black bears important seed dispersers. Each summer, they spread the seeds of their favorite berries all over their home ranges. 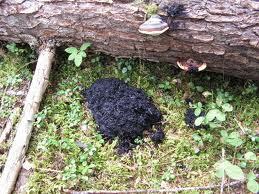 Black Bear around Wawang Lake gain weight most rapidly during July and August when berries are abundant. When the berries run out in September, there is little else to eat. The bear usually seek out their dens in September or October. The longer period of food abundance enables bears to achieve more growth and reach maturity more quickly than bear. Bear in NW Ontario typically produce their first litters at 4 to 5 years of age. Berries contain anti-oxidants, and the seeds of some species contain vitamin B-17, considered an anti-cancer compound by some scientists. Although cancer occurs in captive bear, it has never been reported in wild bear.